We’ve seen scientists use viruses to generate electricity in car batteries before, however a team from the U.S. Department of Energy’s Lawrence Berkeley National Laboratory (Berkeley Lab) believes that they can use harmless viruses to convert mechanical or kinetic energy into electricity. In principle, a generator in the sole of your shoe could charge assorted gadgets on your person. 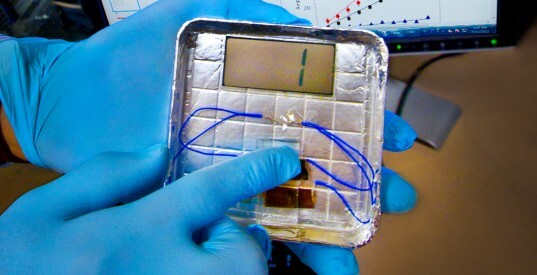 The team proved their theory by using a virus-powered generator to produce enough current to operate a small liquid-crystal display. 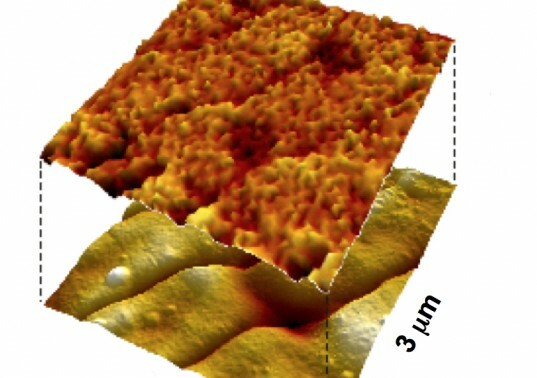 The system works when pressure is applied to a postage stamp-sized electrode coated with specially engineered viruses, which convert the force of the pressure into an electric charge. The team’s generator is the first to produce electricity by harnessing the piezoelectric properties of a biological material. The process, described in the latest issue of Nature Nanotechnology, highlights the benefits of using viruses – they arrange themselves into an orderly film that enables the generator to work. “More research is needed, but our work is a promising first step toward the development of personal power generators, actuators for use in nano-devices, and other devices based on viral electronics,” says Seung-Wuk Lee, a faculty scientist in Berkeley Lab’s Physical Biosciences Division and a UC Berkeley associate professor of bioengineering. We've seen scientists use viruses to generate electricity in car batteries before, however a team from the U.S. Department of Energy's Lawrence Berkeley National Laboratory (Berkeley Lab) believes that they can use harmless viruses to convert mechanical or kinetic energy into electricity. In principle, a generator in the sole of your shoe could charge assorted gadgets on your person.